I adore QR codes -they give the savvy customer a rich, in-depth experience beyond print. Here’s one experience that turned positive IRL. 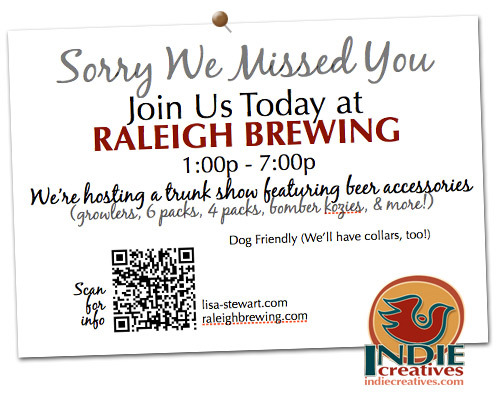 Recently, Raleigh Brewery was hosting a trunkshow featuring my leather beer accessories and this forced me to abandon my shop for a day. That’s life in the world of a small business owner. In addition to my email, facebook status, and twitter updates, I also posted a sign on my door w/a QR code (linked to a blog posting w/more details and event address) allowing the customers to hopscotch to the event with confidence. Throughout the day at Raleigh Brewing TrunkShow, I was thrilled to learn the customers actually used it to find me and introduce more friends and family to my work. It’s simple, empathic, instructive, with a touch a QR savvy to promote positive expectations between customers and shopkeep. 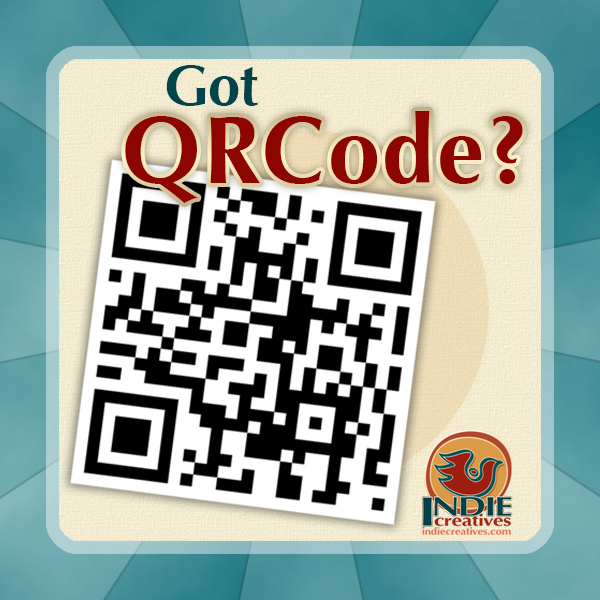 Let me know if you used QR codes in a similar fashion and how well they worked for you. Lisa Stewart is the founder of IndieCreatives™, Coaching and Strategy for Creative Entrepreneurs. 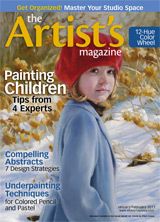 Lisa is dedicated to helping galleries & artists expand their knowledge in creative branding.